Quintessential ’70s album sees a full-blown uplift with an “I’m In You” star cameo. 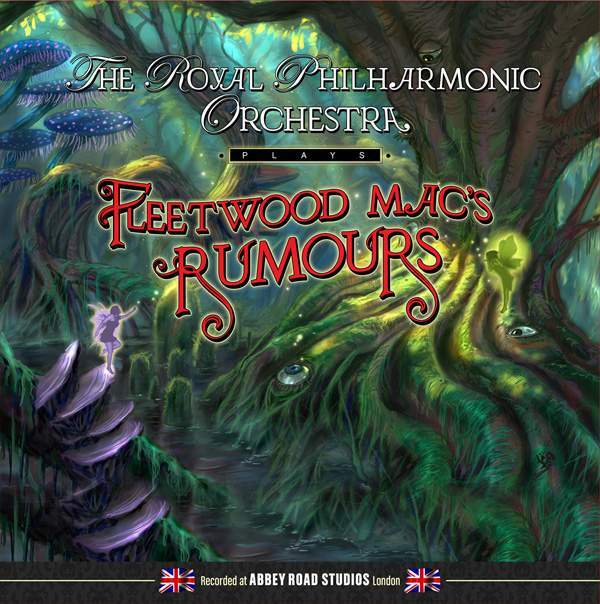 Only a few popular records seem so perfectly fit for an orchestral makeover as “Rumours” does, its backroom melodrama inherently mapped out for the strings highs and the brass lows. Laid down at Abbey Road, this reimagining by THE ROYAL PHILHARMONIC – its first-ever take on an entire album – concentrates on the songs’ emotional message to somewhat deepen it in the absence of words. And it’s given more rock-bottom gravitas thanks to the rhythm section to rival that of Mick Fleetwood and John McVie, their respective robes donned here by Ralph Salmins and Laurence Cottle, the brother of Richard who, together with James Graydon, arranged it all and invited Peter Frampton to shape a fantastic solo on “Gold Dust Woman” – an ingenious stroke, given the fact the guitarist made the same move, as MAC, from blues to pop and became an indelible part of the ’70s fabric to stitch “Show Me The Way” to “Go Your Own Way” now. Such playfulness fleshes out “Never Going Back Again” quite nicely, yet the “Dreams” immediacy is lost to the saccharine drama until the woodwind takes hold of the melody and brings the romantic mood into “Songbird.” Similarly, Sarah Jory’s steel guitar carries the caress in “You Make Loving Fun,” unchained from its synthetic base and made organic in the easy-listening manner that takes on Cajun pace as the piece rolls on, whereas “I Don’t Want To Know,” stripped of its country honk, doesn’t bite despite the harpsichord elegance, which spreads into the swelling bass vein of the cinematic finale. Once it fades away, one might be tempted to listen to “Rumours,” celebrated concurrently with a definitive reissue, but ultimately, this tribute stands out on its own.